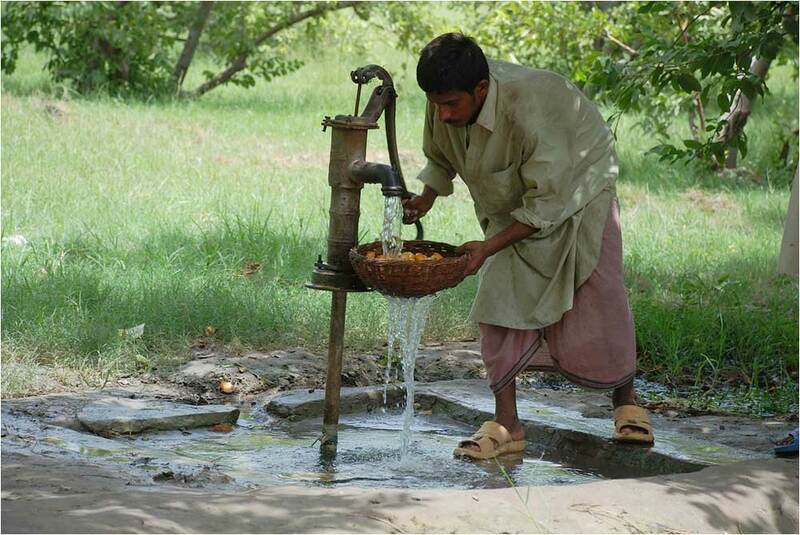 Groundwater depletion doubled between 1960 and 2000. Much of the global groundwater pumped out of aquifers for household use and irrigation ends up in the world’s oceans, depleting the aquifers faster than they can be replenished, a new study published in Geophysical Research Letters shows. The study by hydrologists from Utrecht University and the Dutch research institute Deltares noted that the rate at which these critical groundwater aquifers are being sucked dry doubled between 1960 and 2000. The trend, which contributes to the rise of sea levels, at the same time threatens the fresh water supplies around the globe. “Both the magnitude and the severity of the phenomenon are severe,” said water expert Dr. Peter H. Gleick, president of the Pacific Institute for Studies in Development, Environment, and Society. Worldwide, groundwater depletion rose from 126 cubic kilometers in 1960 to 283 cubic kilometers in 2000, according to the study. China, northern India, Iran, Mexico and the American West were particularly affected. About one quarter of the rise in global sea levels can be attributed to this transfer of fresh water into the oceans, according to the study, as much of the groundwater used for irrigation is running off into ocean-bound rivers, or evaporating into the clouds and then raining into the ocean. Melting glaciers and polar ice caps contribute to another quarter of the sea level rise, with the rest due to the expansion of warming sea water. The study follows up on a 2005 report in the Hydrogeology Journal that found groundwater depletion to be a global problem, particularly in North Africa, the Middle East, South and Central Asia, North China, North America and Australia. The studies point out that the easy access to pumped wells has led to a surge of groundwater use for municipal, industrial and agricultural purposes over the past 50 years. While the surge has created economic gains, it has led to declining groundwater levels, lower pump yields, increased pumping costs, deteriorating water quality and damaged aquatic ecosystems. Disclosure: Dr. Peter H. Gleick serves as scientific and technical advisor to Circle of Blue.